Mighty Morphin Power Rangers first debuted in 1993 and is one of the biggest superhero television franchises, with 25 seasons so far and still going strong! Now metallic and in Pop! 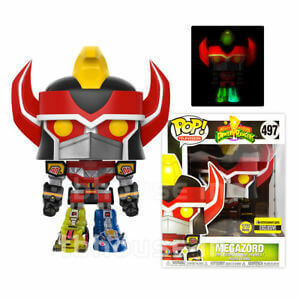 form, this 6 inch Megazord Pop! 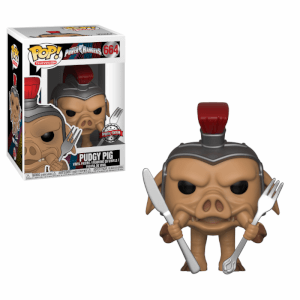 Vinyl is a Pop In A Box EU pre-release exclusive and is perfect for any collection! Packaged in a window display box, this Metallic Megazord EXC Pop! 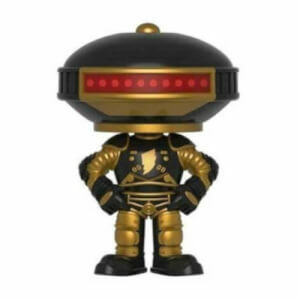 Vinyl Figure measures approximately 6-inches tall. This Pop! Vinyl is an EU Pre-Release Exclusive! This means that, for a limited period of time, we will be the only ones selling it in Europe! Order it now and be the first to get it!